Let Go of Emotional Overeating and Love Your Food is for anyone who would like to eat whatever they like, yet stop just at the point of satisfaction without overeating. 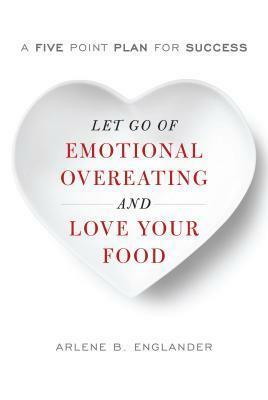 Written by a Columbia University trained psychotherapist and former emotional overeater, Let Go of Emotional Overeating and Love Your Food offers psychologically sound techniques for recognizing the symptoms of emotional overeating and methods for addressing it in ways that are both effective and enjoyable. Readers will learn how to become aware of the difference between eating in a healthy way and eating emotionally – neither to satisfy hunger, nor for enjoyment, but in a desperate attempt to distract oneself from painful thoughts and feelings. Diets don’t work for people who eat through their emotions. Instead, learning to recognize the stressors that lead to emotional eating and to address those tensions through other methods besides eating is the goal. When we handle stress well away from the table, we’re free to relax and really savor our food when we choose to eat. Proven techniques like Cognitive Behavioral Therapy (CBT) are presented in an innovative, easy-to-remember way. Learning to eat mindfully, for health and enjoyment, becomes the goal, and Arlene Englander walks readers through table techniques designed to make mindful eating easier, habitual, and ultimately second-nature. Allowing for both fun foods and healthy foods, Englander’s approach emphasizes eating healthfully and being aware of best practices and the behavioral objectives of coping with stress, exercising regularly, mindful eating, good nutrition and hydration, and controlling overeating situations. She addresses late-night eating, parties, vacation, and other situations where overindulging may be a risk. She concludes with a prescription that is meant to last so that readers can love their food for a lifetime. About the author: Arlene B. Englander, LCSW, MBA, has been a licensed psychotherapist for over twenty years. She has created health promotion programs on stress management, emotional overeating and other subjects for hospitals, corporations and law firms, while on staff at settings as diverse as Cancer Care, Inc. and American Express, T.R.S. Her “Love Your Food”® Seminars have been presented at organizations throughout her local community in South Florida. Currently in private practice in North Palm Beach, she specializes in helping emotional overeaters, an issue she, herself, formerly faced.